The box fans are out, bug juice is being poured, and the Beekeeper is droning from his hive, so it can only mean one thing: Wet Hot American Summer is back! 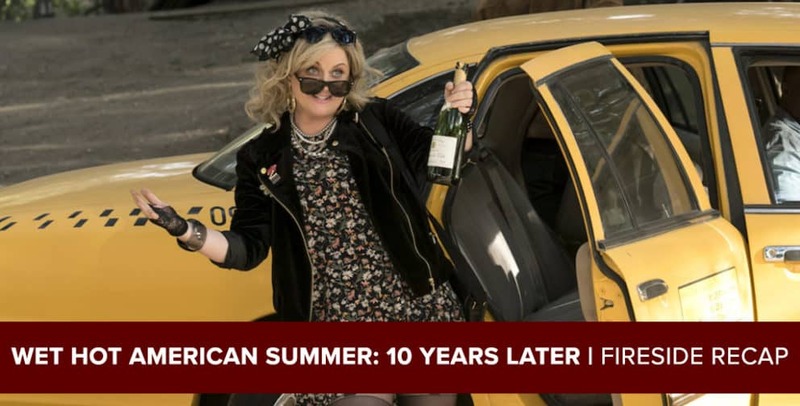 While ten years have passed in the “Wet Hot” universe, only two have in the real world, and it’s time to break down everything from “Ten Years Later,” the sequel series to the cult 2001 movie from David Wain and Michael Showalter. Mike Bloom (@AMikeBloomType) has returned for the reunion in his best early 90s wardrobe, but with Josh Wigler away getting a deviated septum looked at, they have enlisted expert on all things summer camp Ariel Glassman (@Reli_RHAP) to fill in. The two give their spoiler-free thoughts on the series first before diving into their respective expectations going in, how it compares to both the movie and the 2015 prequel series “First Day of Camp,” the various dramatic storylines of the giant ensemble, and what a possible fourth installment of the series would entail. So sit down to a nice hunk of deconstructed macaroni and cheese, go pay the babysitter who may or may not be trying to kill you, and enjoy! 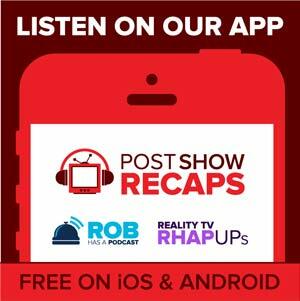 Let Mike and Ariel know your thoughts on the series in the comments below or on Twitter!